Wander Beyond the mundane and into the fantastical. 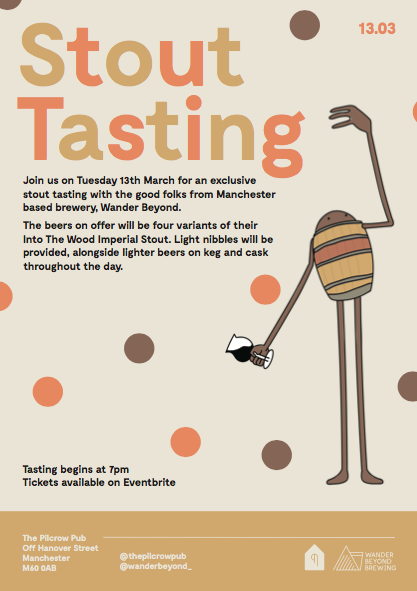 We will also be showcasing more of their beer on cask and keg from opening, a great chance to check out an up and coming local brewery. All Imperial stout bottles will be exclusively for the tasting and tickets are limited.